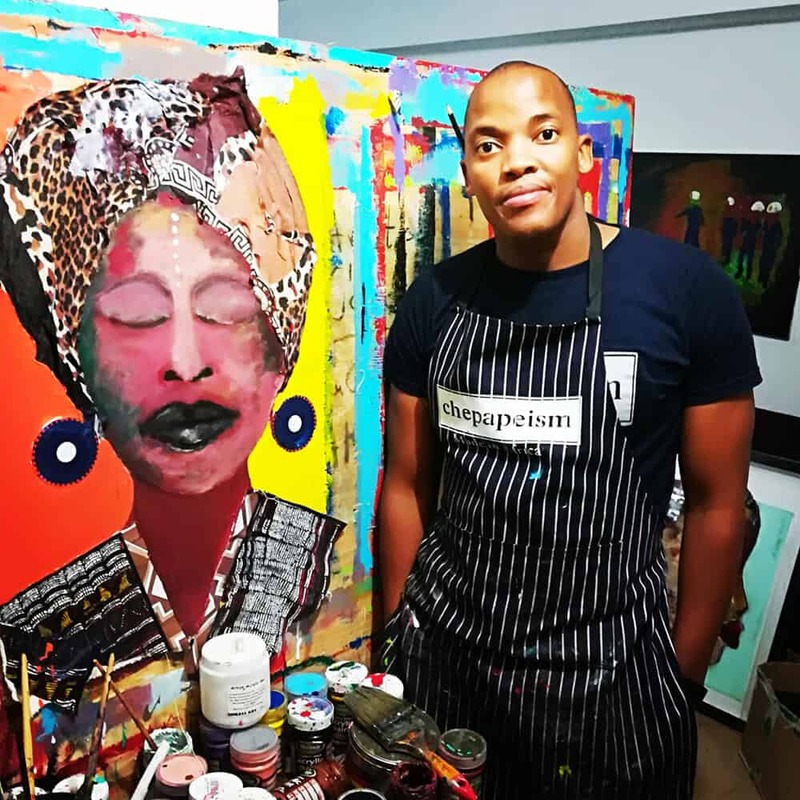 We had a conversation with Khehla Chepape Makgato about his latest solo exhibition at Galarie Noko in Port Elizabeth, Basadi Ba Tshankgetše – Women Fashionably Adorned which opened on November 15. Makgato also sheds light on his initiative around arts and literacy community development Chepapeism. African Goddess Mothers, 2018. Mixed Media, 123 x 87cm. All images courtesy of the artist. 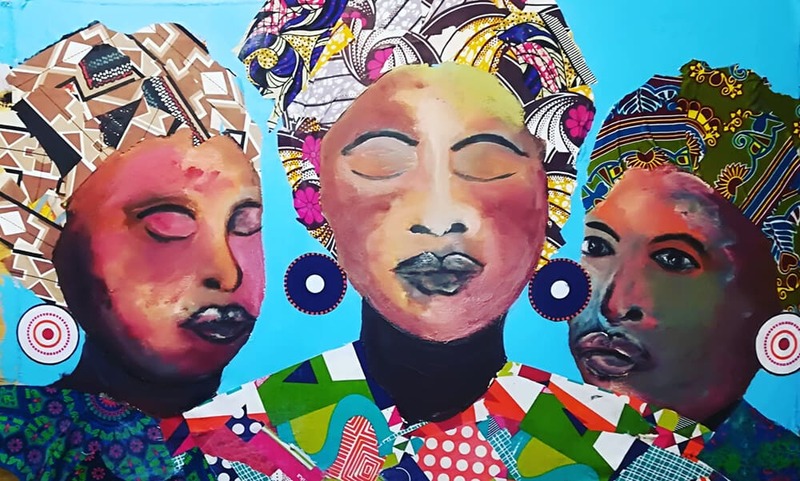 ART AFRICA: Please tell us about Basadi Ba Tshankgetše – Women Fashionably Adorned. I understand that it`s your third solo exhibition for 2018? 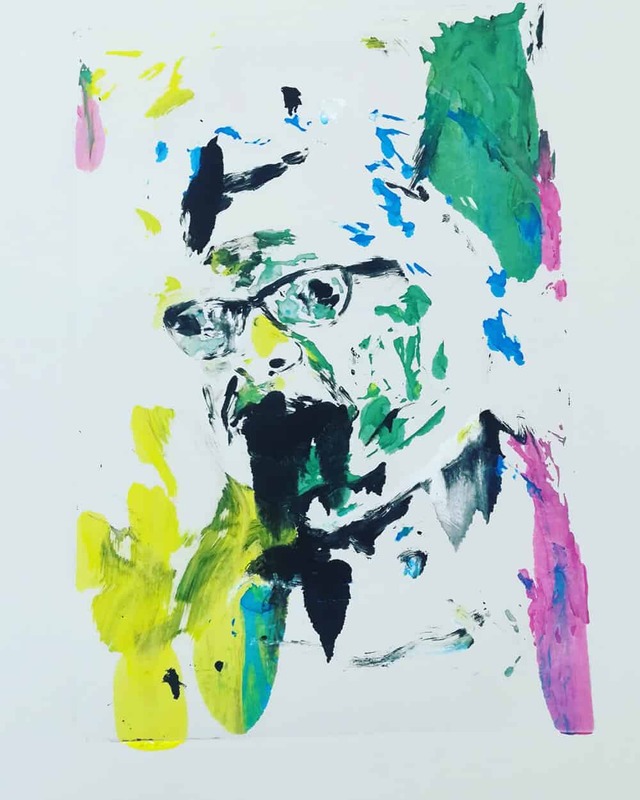 Khehla Chepape Makgato: It is my fourth solo exhibition. Remember, I had two solo exhibitions in Cleveland Ohio, USA at Harris Stanton Gallery and Zygote Press Gallery in March and April. I also had another solo exhibition at RK Contemporary in Riebeek Kasteel, Western Cape. 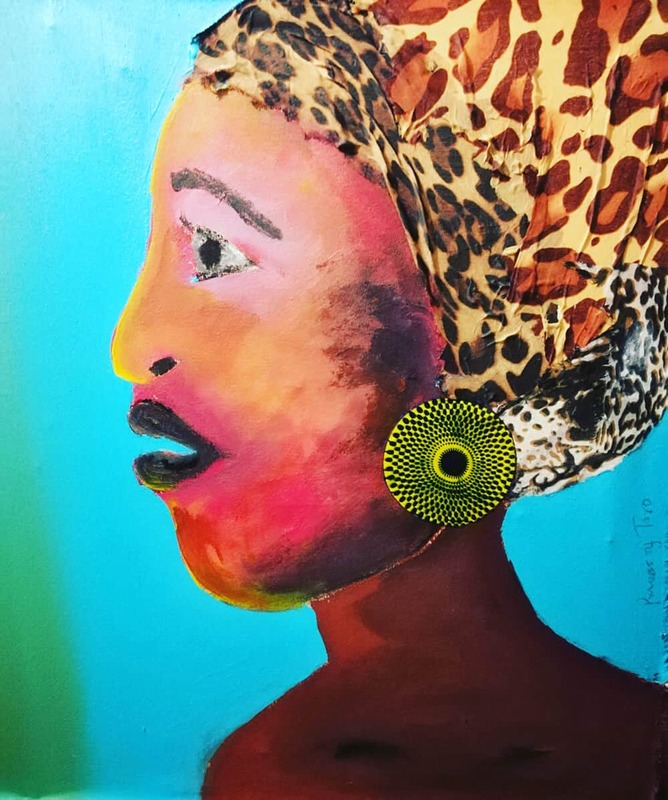 Basadi Ba Tshankgetše – Women Fashionably Adorned is a continuing solo presentation where I celebrate and honor Black Women from the continent of Africa. This show is inspired by the Princess Bagaaya Akiiki of Toro from the Batebe of the Kingdom of Toro. Who is Princess Bagaaya Akiiki and why is she inspirational? She is a Ugandan lawyer, politician, diplomat, and model. She was the first female East African to be admitted to the English Bar. I marvel at the interpretation of her narrative, taking liberty to narrate how I feel about it now. I have done portraits of her and the women I imagine raised and inspired her. I also include young women who look up to her as a role model. How was this exhibition work conceptualised? The conceptualisation of this body of work involved my research on the Princess and reintegration of my matriarchal forebears such as my great grandmother Ntshakga who features in this exhibition repeatedly as a timeless matriarch for me, particularly her story and that of my great great-[laughter]-grandma called Maganyane. Do you mind sharing uMama Maganyane`s story? Maanyane or Maganyane is my great matriarchal Goddess. She displayed exuberance and leadership prowess when she fled with her only son my great grandfather Makoti when her husband, a chief in some area in Botlokwa passed away. She had to flee the region to protect her son from being possibly assassinated by the other wives. This must have occurred around the 1880s. I am in the process of researching more of this history of my forbears. Hearing stories about her made me relate herstory with that of Queen Manthatisi in the late 1800s when she protected her nation from the Boer Settler`s forceful taking of the land. Queen Manthatisi had great soldiers fighting for her Queendom. When did you start making the work? I started working on this show from May 2018. It includes painting, Monotype and Charcoal drawing with a touch of collage using fabric of African print material and doitch. In the material I use, I imagine the first or earliest interactions between African women and European traders in the late 1700 or 1800. I’m also interrogating how the East African prints such as Ankara and other wax fabric materials came into being. Princess of Toro, 2018. Mixed Media, 77 x 68cm. You are also involved community work. Can you tell us more about this Journey in your own words? From its inception to where you are now? Yes, I established the community-based arts and literacy organization called Samanthole Creative Projects & Workshop in 2010. Fellow artists and patrons made it possible for us to go around Limpopo and other parts of South Africa doing arts and literacy development workshops with the youth. We have touched many lives and we are grateful of the impact made in the last few years. Some challenging factors have been that of lack of funding, which is a general norm for the arts in South Africa. Hence the establishment of Chepapeism brand which we hope will take the funding model to another level especially for the arts and literacy development projects in rural areas. Tell us more about Chepapeism. CHEPAPEISM is new clothing brand in a form of art merchandise sold from my studio. It is an initiative where we seek to raise funds for the community arts and literacy development projects that we do in communities such as establishing libraries and running art workshops. Reasonable percentage of the proceeds from the products of CHEPAPEISM brand such as T-shirts, Hoodies, Sweaters, Golf T-shirts and Aprons merchandise go towards enabling the smooth run of our projects. Winnie Madikizela Mandela, 2018. Monotype, 80 x 62cm. You have explored an interesting concept before. The connection between killing goats and the communication with the ancestors. Where has this exploration lead and how was it expressed in your work? My 2015 solo exhibition was called ‘Mephaso – The Rituals’ and was focused on the theme of slaughtering of goats to appease the Ancestors and at times Thanksgiving for the Ancestors. Goat, but not just goat but the gender and color of it used to play a significant role in connecting the living and the dead in the African context. I researched these things and developed a body of work based on my findings.